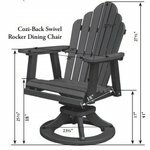 As the perfect compliment to your Berlin Gardens Dining Table, your Cozi-Back Swivel Rocker will leave you are your guests sitting comfortably for hours, enjoying every outdoor occasion. 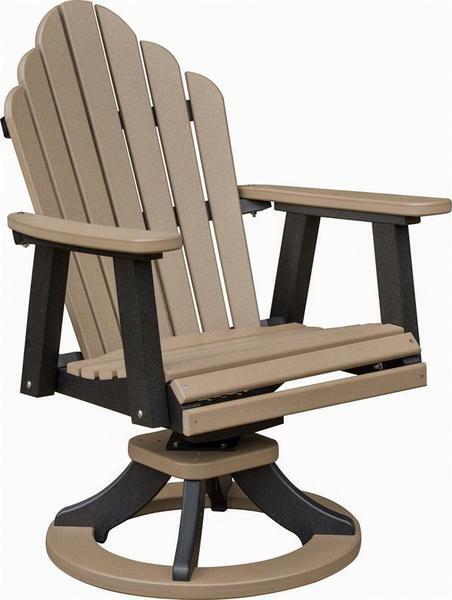 Available in a wide variety of gorgeous poly colors, or a combination of two colors, you're sure to find the perfect Swivel Rocker to compliment your outdoor space. With the optional Sunbrella cushions, your can easily add another level of comfort and style to your set. Please call one of our Amish Furniture Specialists today to answer your questions and to start your order by phone - toll-free (866) 272-6773. Height To Arms: 25 1/2"